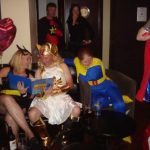 If you need a reliable disco or last minute DJ for an April bowling Club event, May Fancy Dress, Karaoke party or 2020 Wedding disco in Central Scotland. 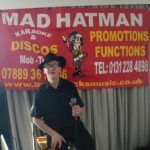 You can't beat Hatman DJ when entertaining ALL Ages and occasions for reliability and creating a good atmosphere call Tommy Mad Hatman mobile Disco Edinburgh. 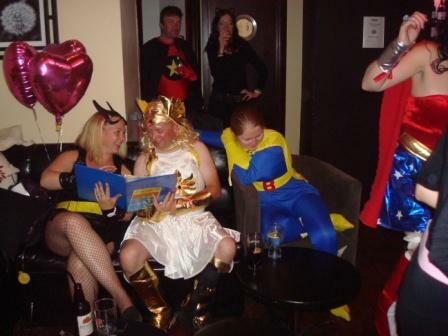 30+ years Running Mobile Discos and Private functions DJ in hotels/pubs all over Edinburgh and Central Scotland. Edinburgh Nightclubs DJ -The Place, Cinderella's, Valentinos. 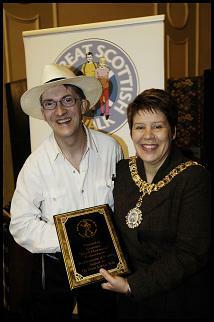 Wedding Fayre host -Entertained in various Edinburgh Hotels and recommended by Princes St Club . 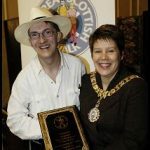 Check DJ feedback you will see happy customers from Edinburgh, Central Scotland, Holyrood, Edinburgh Old Town, City Centre, Leith, New Town, Portobello, Braid Hills, Inverleith, The Meadows, Lochend Stockbridge, Duddingston, Murrayfield, Morningside, Prestonfield, Midlothian, Haddington, Pathhead, Loanhead, Musselburgh, Penicuik, Bilston, North Berwick, Perth, Dundee, Glasgow, Fife, St Andrews to Galashiels in The Borders as a guide. 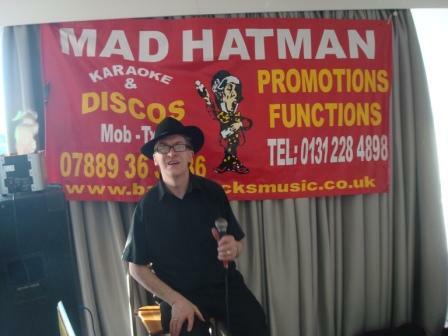 Book Hatman DJ if you want a great atmosphere like this at your party, wedding or special event.